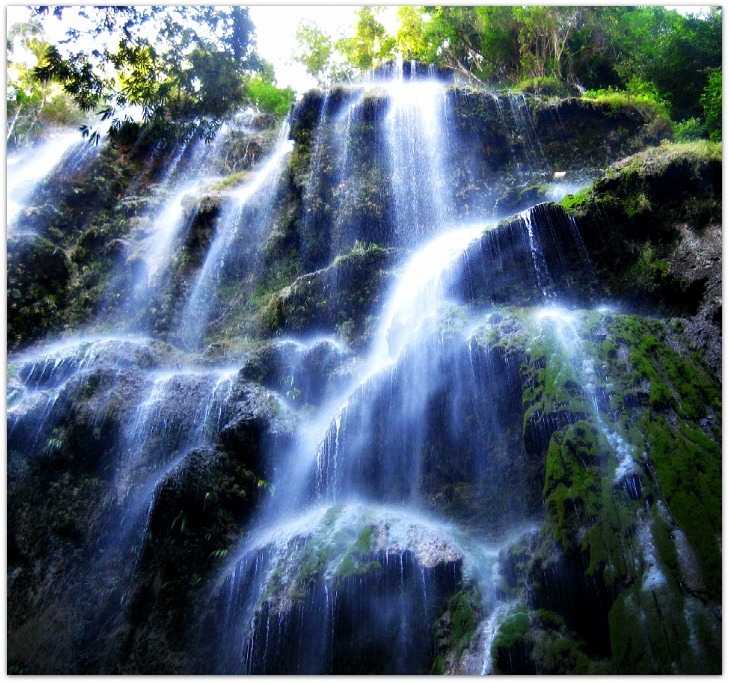 Tumalog Falls waterfall is an amazing nature’s gift of Cebu that is located in Oslob Municipality. It is located in Barangay Luka, which is close to the famous whaleshark attraction in Oslob. In fact, it is becoming a common trend among whale shark visitors to drop by at Tumalog Falls after their whale shark experience. It only takes about 2 hours and a half to get close to the area, which is about 170 kilometers from Cebu City. There are various terms that we can employ to describe this wonderful nature. And as human beings, we must accept and be humble that we are just but limited to describe in understanding and much more in describing nature. 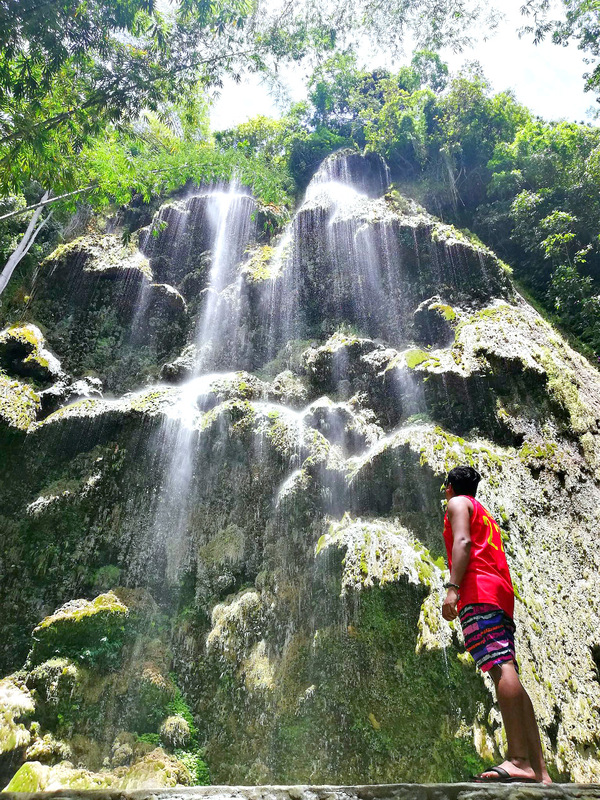 Some enthusiasts and observers describe Tumalog Falls as ‘gossamer’ since it creates a silky, very light and gauze-like fabric descending down transforming into a basin of water. Others describe it as ‘horsehair’ (especially white horse’s) due to how the water flows creating like horse’s tail or neck hair. Some visitors would describe the waterfalls as a ‘white curtain’ covering the whole wall of rock within the forest. It seems like a white curtain and a transparent one. And some observers describe the waterfalls as a series of umbrellas hanging by the rock walls. That’s because although there is a main waterfall they remain in contact with the rock wall which are shaped in such a way that they create umbrella effects of the falling waters. Please, look at the photo and you’ll know what I’m trying to describe! Finally, you can hear the sound of the falling water like a concert composed of sounds from various musical instruments but creating a soothing melody. The whole area is basically kept and protected from being ‘developed’. It means that there are not big and unnatural concreted structures close and surrounding the Falls itself. Tumalog Waterfalls is enveloped and protected by the natural and some century-old trees, bamboo trees and other endemic plants in the area. You can be assured of the healing effect you can get from the pure water and all elements that the environment provides. Yes, you can certainly enjoy the water but not only observing or looking at the mesmerizing waterfalls. At the bottom of the waterfalls, you can dip in the waistline and knee-deep areas of the basin constantly created by the falling waters. The water is cool and fresh, and you can get a great healing massage if you decide to stay for a few minutes under any of the sizes of falling waters. The bed of the falls is rocky and could be dangerous if you are not careful. Overall, there is no danger for anybody of getting drowned or any sort or accident. Of course, always keep safe and observe safety attitude while in the area. 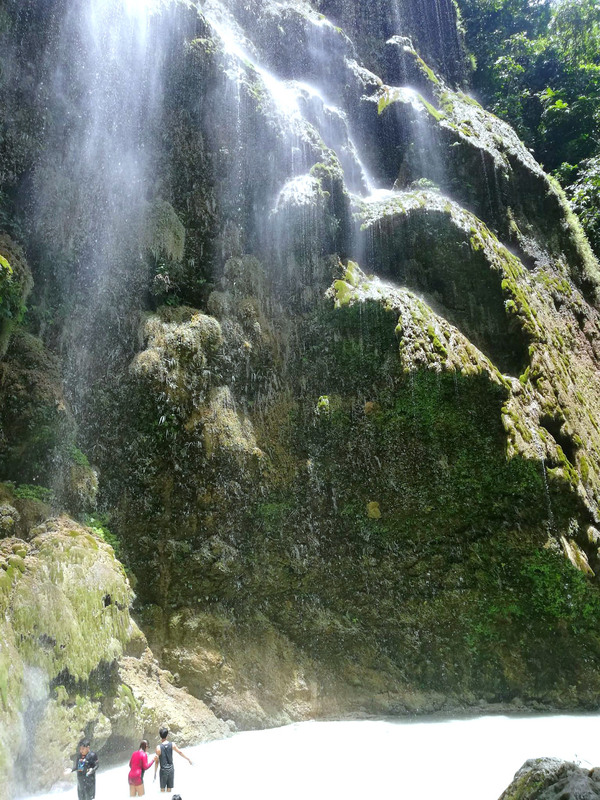 If you want to see a thicker waterfall, better see Tumalog Waterfall not during summer time. That’s because, you know, there is less water flowing and the pool below it tends to have less water than during non-hot season. Still, its amazing view will never be out of season! These are the basic things you would need and no need to worry about other things. Here’s how you can get to Tumalog Falls. When you have decided to see this nature’s wonder, be sure you are ready to enjoy it. Take a bus from Cebu South Bus Terminal down to the national highway drop off in Barangay Luka. Let the driver or conductor know that you are getting off at the crossing for Tumalog Waterfall. From there, you can hire a single motorbike (locally called ‘habal-habal) that can take more than one back-riders. If you are bringing your own ride, you can park somewhere near the falls and you need to walk for about 15 minutes to get down to the falls area. Thank you for visiting this page and reading down to this part. 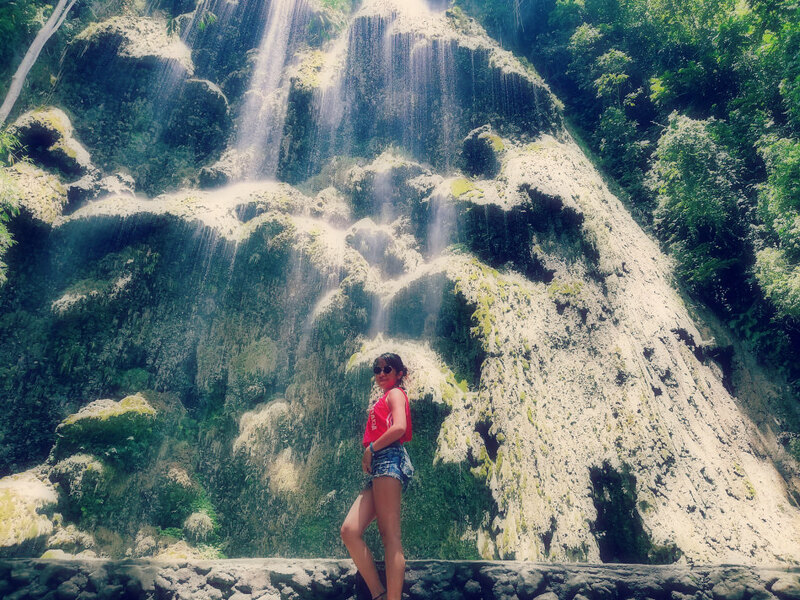 Hope you’ll a fantastic and memorable experience at Tumalog Falls. Visit us again and don’t forget to share this free site and its information who loves waterfalls such as this one.